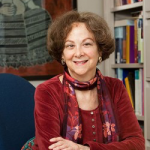 Edith C. Kieffer, MPH, PhD, Professor, School of Social Work, University of Michigan conducts research addressing health and health care disparities. She has extensive experience planning, conducting and analyzing data from longitudinal epidemiological studies, qualitative formative research and intervention research studies in community and health care settings, including randomized clinical trials. Using community-based participatory research (CBPR) approaches, she and collaborators have evaluated the effectiveness of Detroit-based community health worker (CHW) programs in improving the health of pregnant and postpartum women (NIH/NIDDK – Healthy Mothers on the Move) and people with, and at risk for, type 2 diabetes (NIH/NIDDK – Community Health Worker Diabetes RCT for Latinos and CDC – The REACH Detroit Partnership). These studies resulted in significant improvements in dietary behaviors, depressive symptoms, glucose control, diabetes-related distress and other positive outcomes. She is a co-Investigator for the evaluation of the Healthy Michigan Plan Medicaid expansion. She is leading qualitative studies around Michigan that explore the experiences of beneficiaries and health care providers, and the impact of Medicaid coverage, including its requirements and incentives, on access to and use of care, and on their health and other outcomes. Dr. Kieffer is a founding steering committee member and directs grants supporting the Michigan Community Health Worker Alliance, which is promoting sustainability of CHW programs and careers through policy change and workforce development. She teaches courses in health care policies and services, health ethics and community-based participatory research. She is affiliated with the Detroit Community Academic Urban Research Center, the University of Michigan Institute for Healthcare Policy & Innovation, and the Michigan Center for Diabetes Translational Research.